Purchasing a used car is one of the smartest investments a driver can make. Quirk Pre-Owned has many used cars to choose from. They offer a wide variety of models that can save customers hundreds to thousands of dollars. Some of their used cars, trucks and SUVs only have a few hundred miles on them, while others are a bit more used and have price tags of less than $12,000! Stop by this dealership for the most affordable used cars for sale near Quincy today! Customers can contact Quirk Pre-Owned directly with any questions by calling (877) 466-1512. 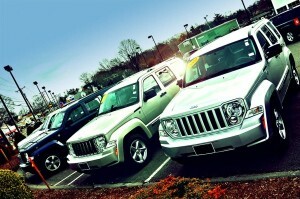 Quirk Pre-Owned keeps a selection of over 100 top-quality used cars, trucks, SUVs on their lot at all times. Top quality means that every vehicle has passed a rigorous inspection, performed by certified and trained technicians. Quirk Pre-Owned has earned a great reputation as a premier used car dealership near Quincy, and they intend to keep it that way! Yes, this dealership offers many barely-used models for sale. However, if customers are looking for massive savings, they can head to the under $12,000 lot. Here, customers will find early to late 2000 model-year vehicles from top brands like Ford, Chevrolet, Mazda, Mitsubishi, Honda, Toyota, Nissan, Jeep, Dodge and so many more! For example, right now there is a 2007 Mazda CX-7 AWD SUV with CD player, air-conditioning, full-power accessories, remote keyless entry and so much more for under $11,000! And this is just one of many used cars for under $12,000. The bottom line is that drivers who want or need an affordable car should visit Quirk Pre-Owned Customers can find directions to this used cars dealership near Quincy.